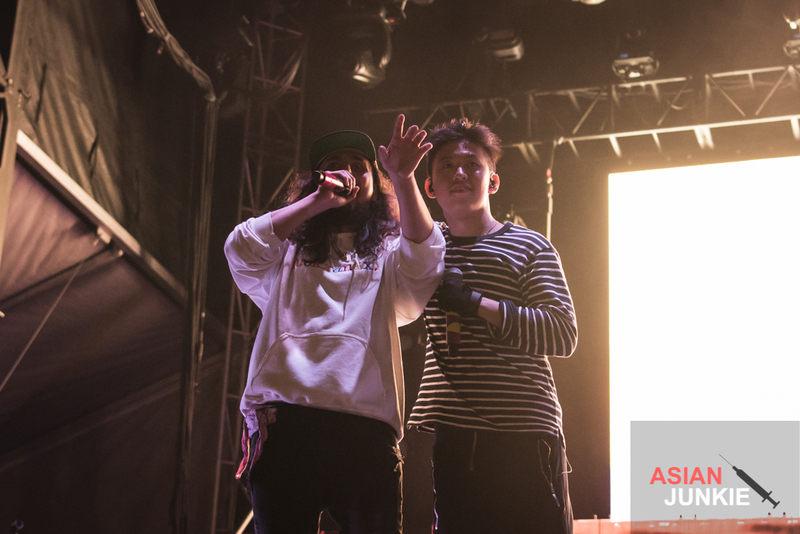 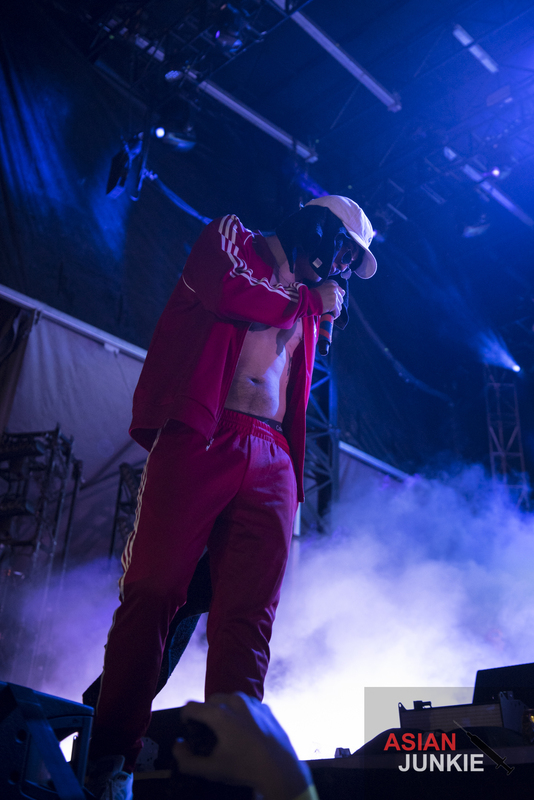 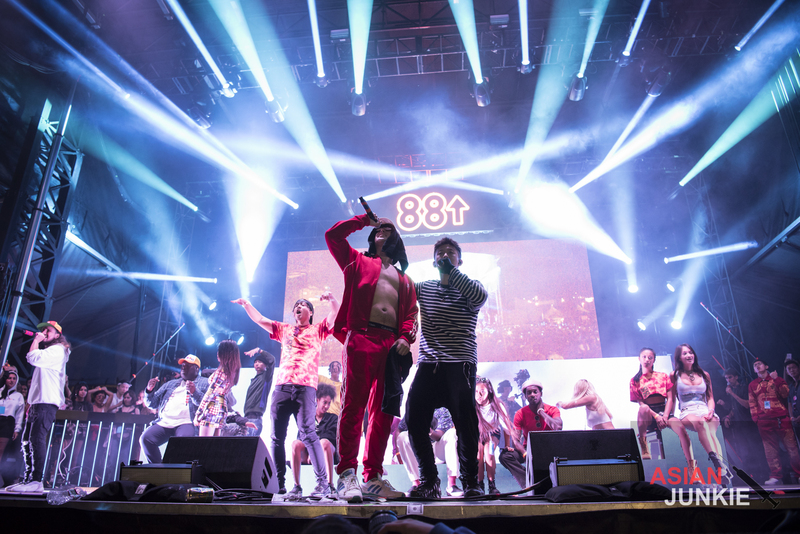 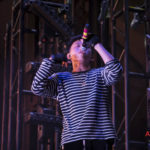 Last we left off, we were half way through 88Rising‘s ‘Head In The Clouds‘ festival in Chinatown LA. 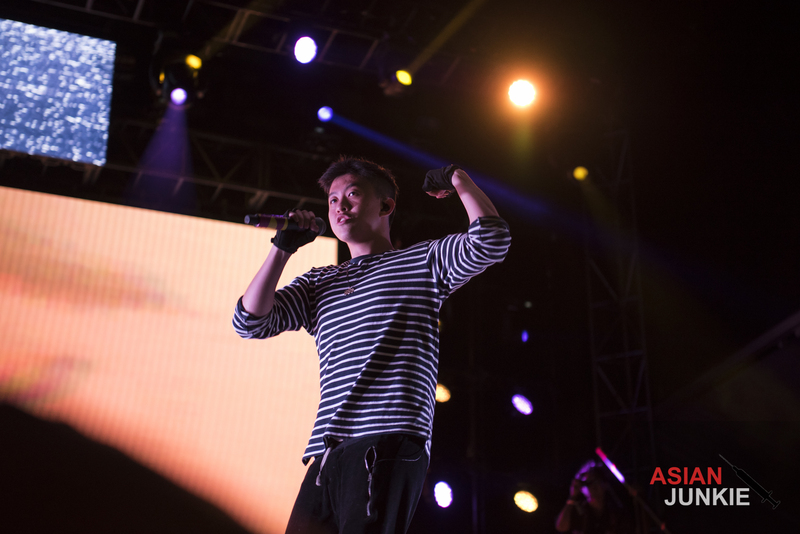 The entire park was packed and the crowd was frothing at the mouth, ready for the next performer. 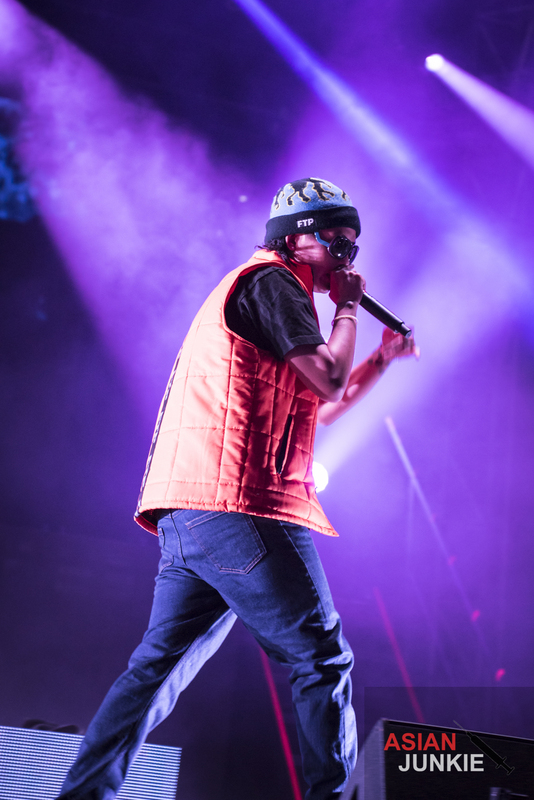 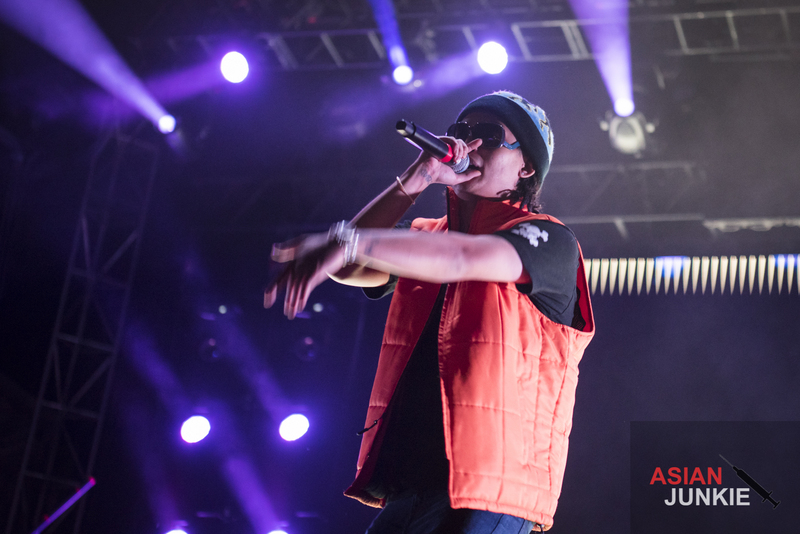 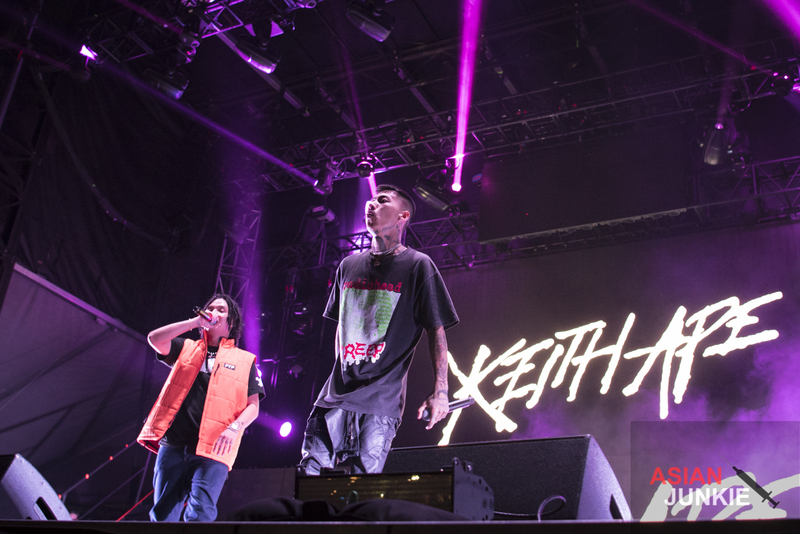 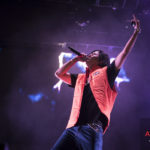 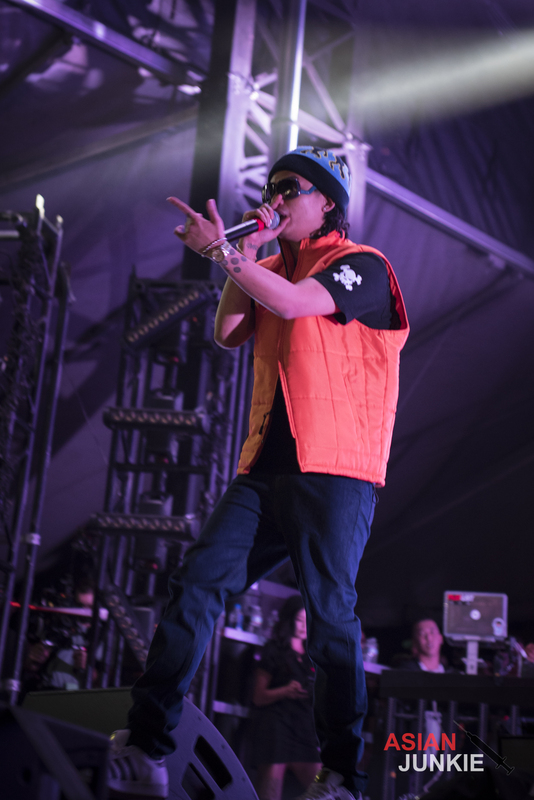 Well the crowd got what they wanted, as 88Rising’s very first signed artist, Keith Ape was next up. 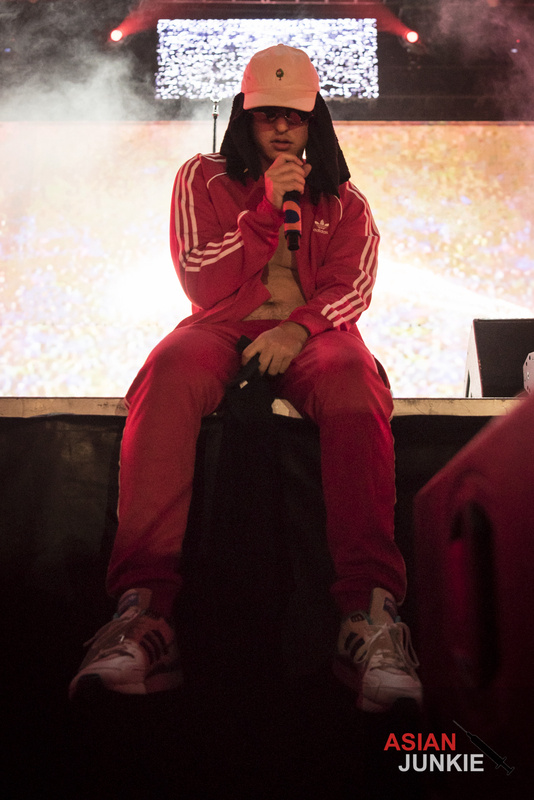 It’s been a minute since we’ve heard from the viral sensation who broke broke open the barrier to America with one swift kick of his Underwater Squad boot, and he proved to be no joke as he took the mic and reminded everyone in attendance exactly why he soared to the top in record time. 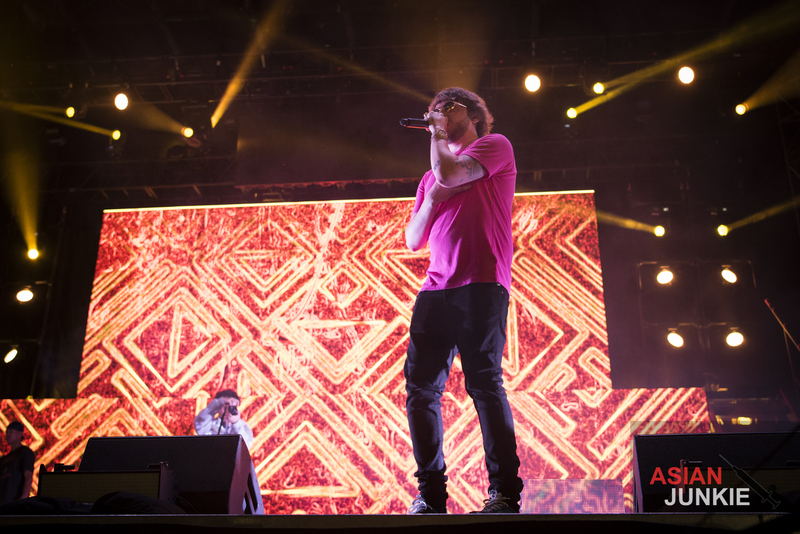 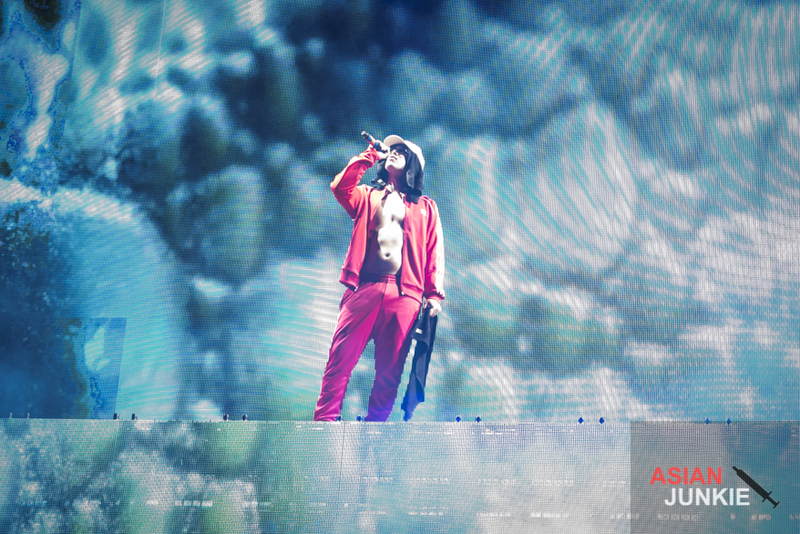 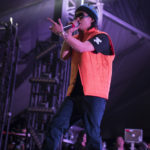 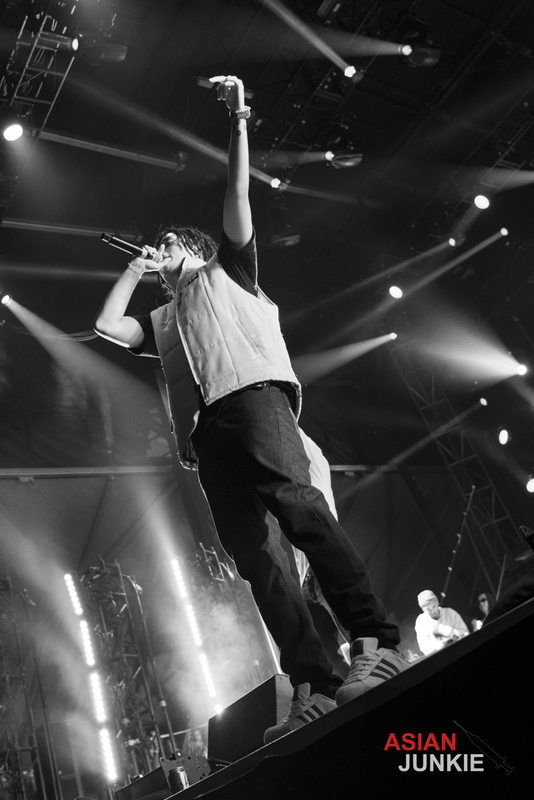 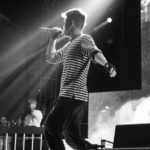 He performed his newest release, “Ninja Turtle“, as well as “Japan 88” and “Achoo!“. 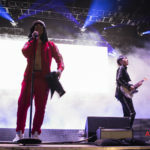 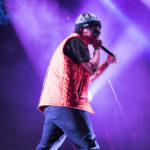 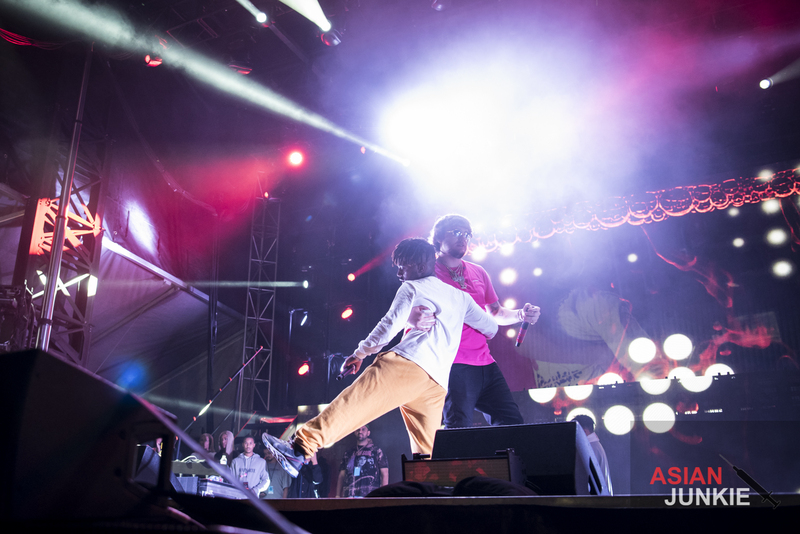 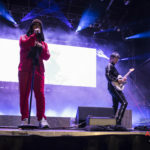 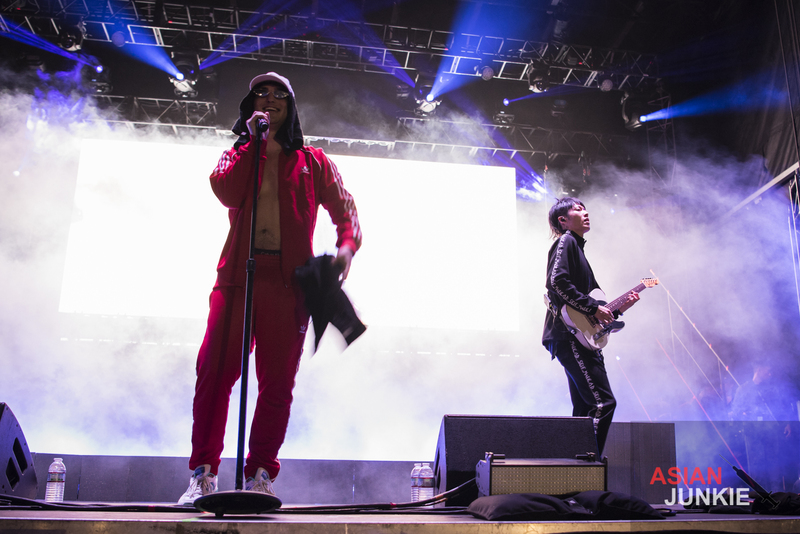 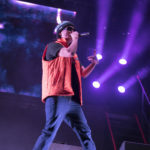 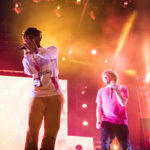 Of course, it was “IT G MA” that churned out a massive mosh pit in the center of the audience, people bobbing and weaving as the ocean of fans surged toward the stage. 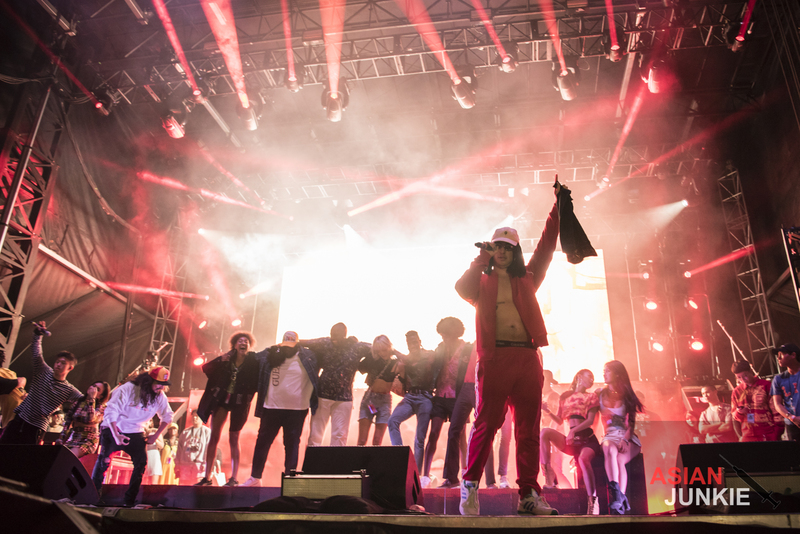 I don’t know what it is about that song, but it just ratchets up the aggression in any crowd. 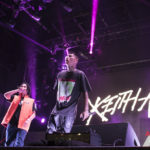 KOHH also came out on stage, performing with Keith Ape, and I stood there in awe at the fact that we finally got to see them perform the track together! 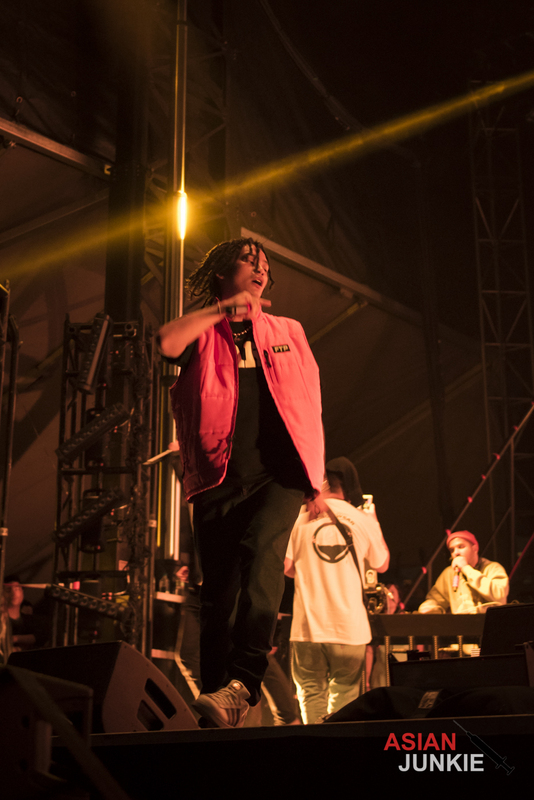 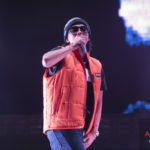 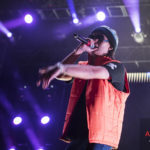 When he was done, Keith Ape walked off stage, pleased with himself as they announced his new album would drop in October. 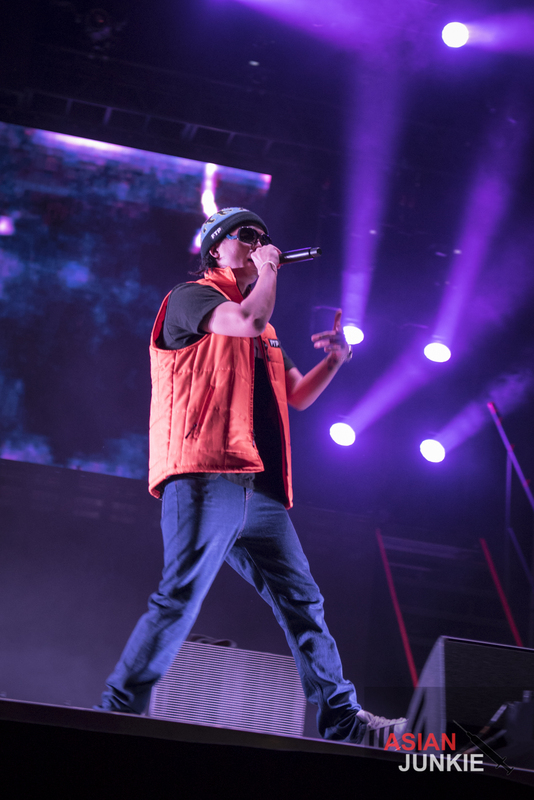 Because this show was so diverse, I shouldn’t have been surprised, but there I was shocked to see Murda Beatz step behind the DJ booth as he proceeded to spin a collection of his top hits. 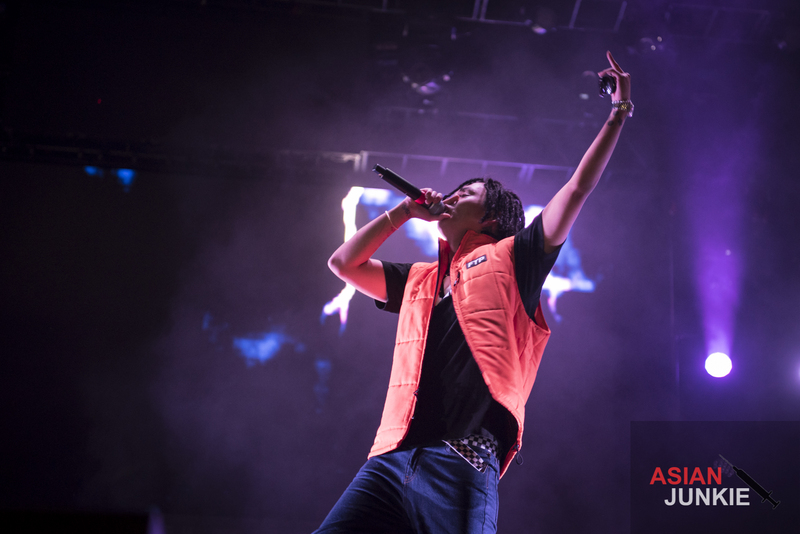 As a prominent music producer who’s worked with all of your hip-hop faves, he dropped beat after beat of heavy hitting bass for the crowd. 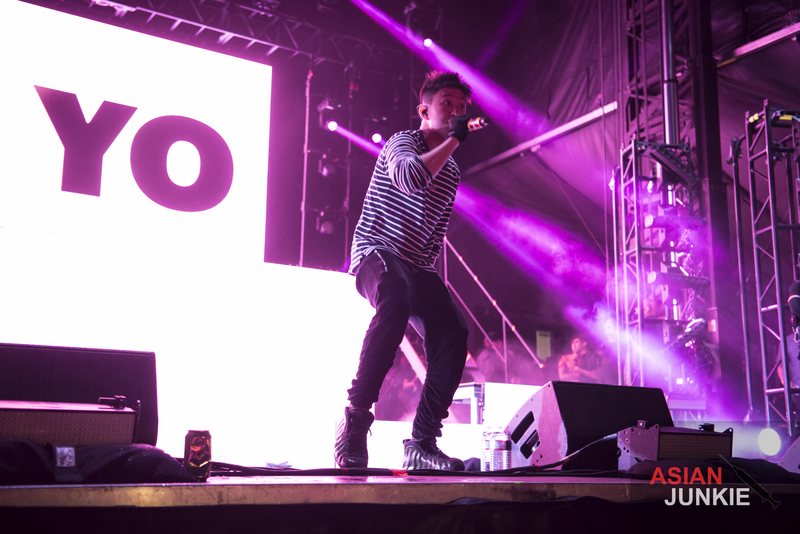 Then the crowd started to chant “JO! 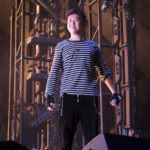 JI! 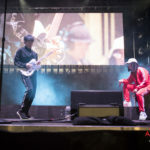 JO! 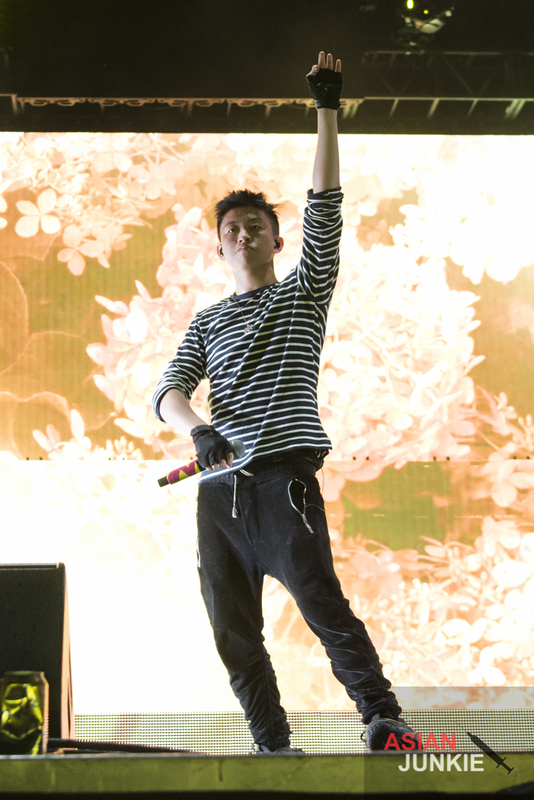 JI!” over and over. 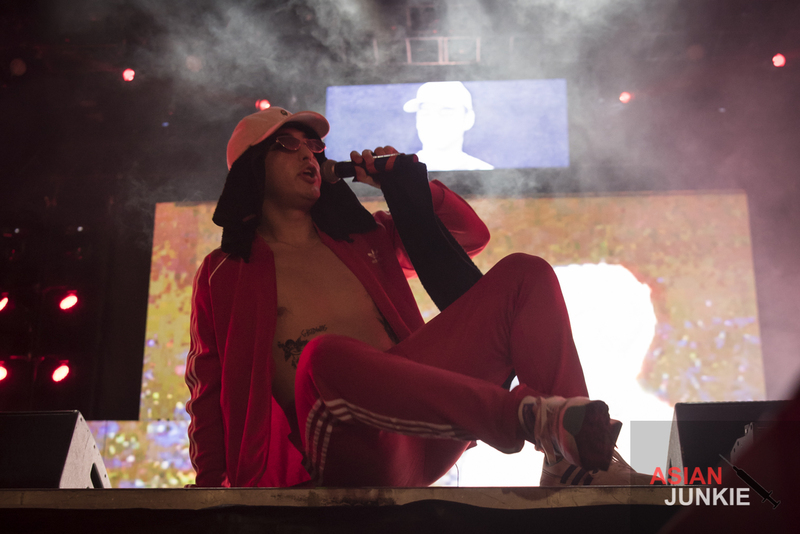 The lights dimmed, and a VCR played of Joji, sitting in an empty run-down theater, tapping on the screen. 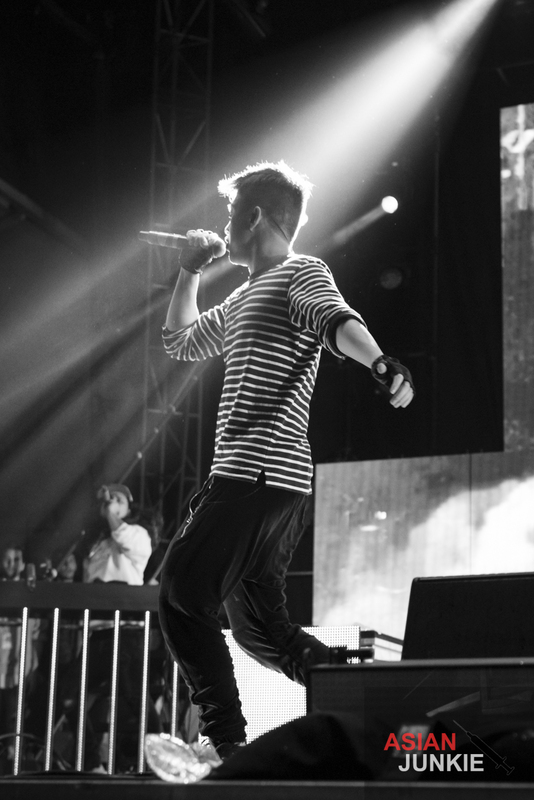 He stepped out on stage and everyone screamed. 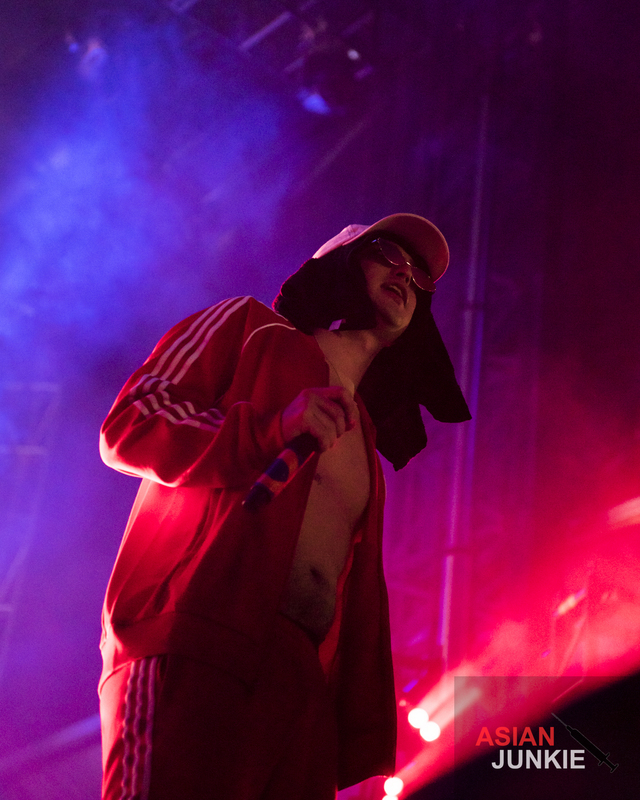 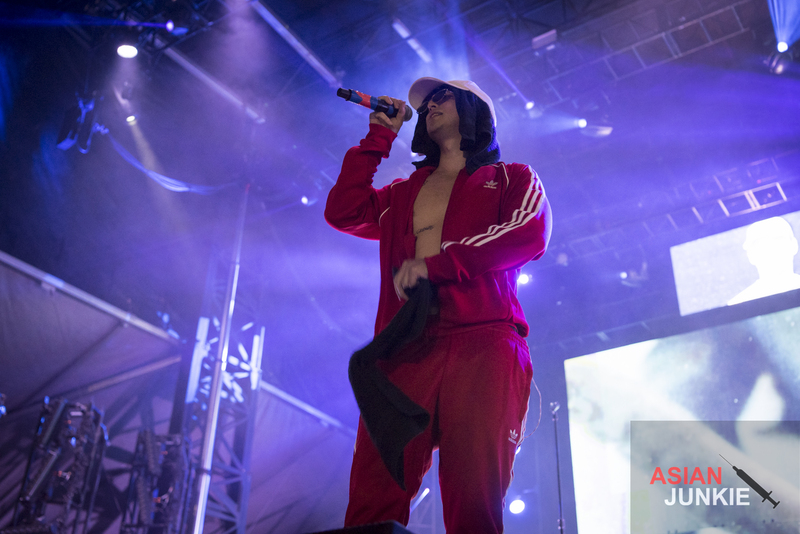 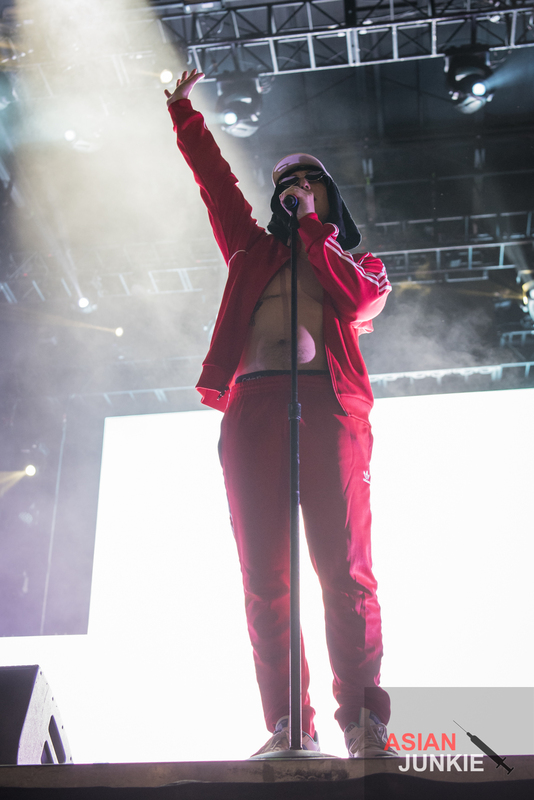 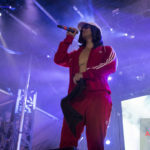 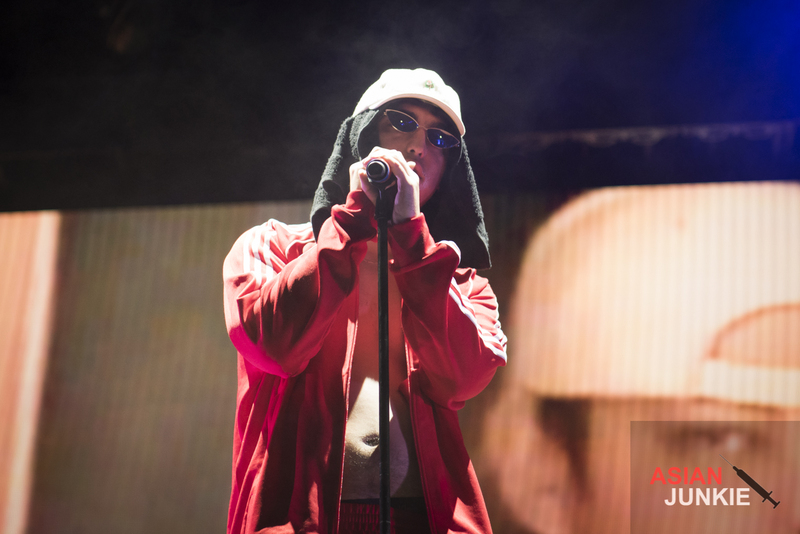 Joji stepped up to the solo spotlit mic stand in the center of the stage, unzipped his red Adidas track jacket, exposing the skin that made every girl in the front row lose their damn minds. 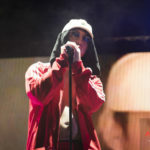 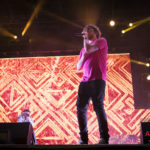 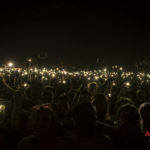 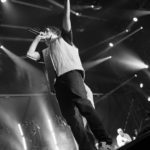 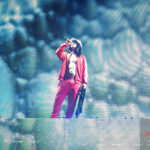 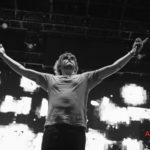 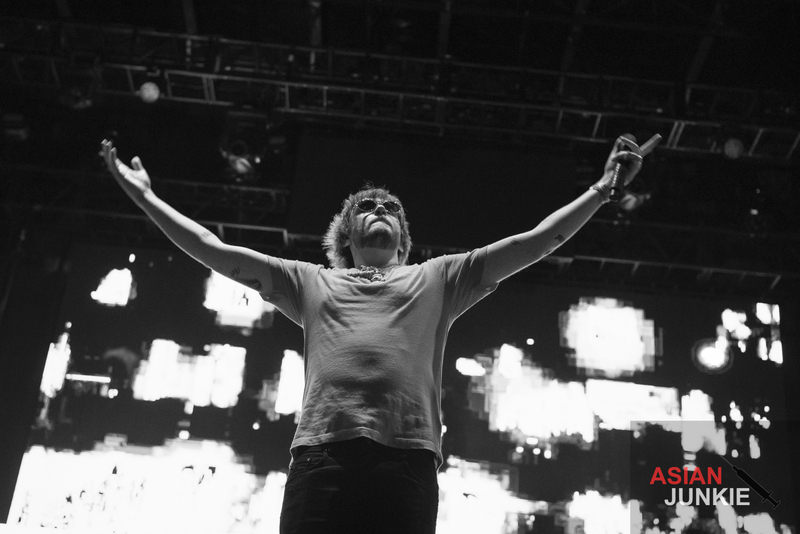 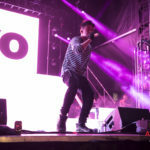 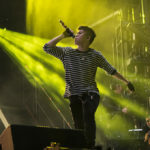 The shift in sound didn’t change the hype in the crowd at all, as he performed such tracks as “Will He“, “Demons“, “YEAH RIGHT“, “Head In The Clouds“, and of course, “Slow Dancing In The Dark“. 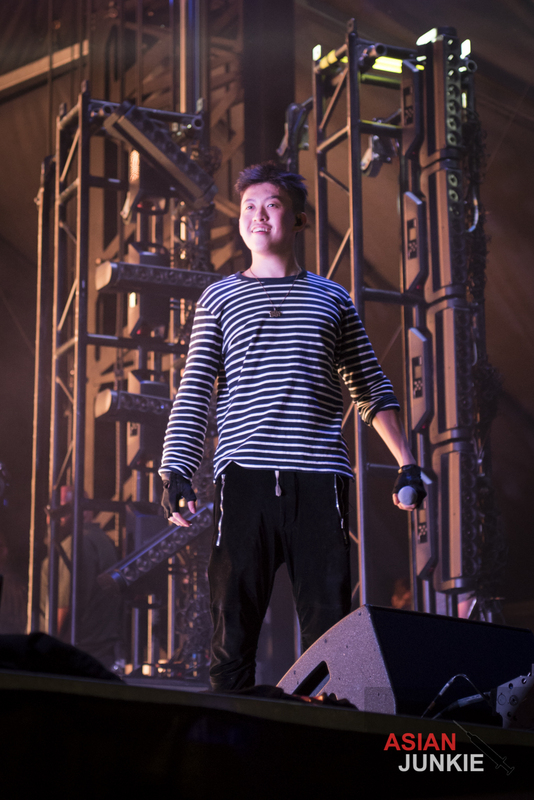 Joji then surprised the entire audience by introducing his own special guest. 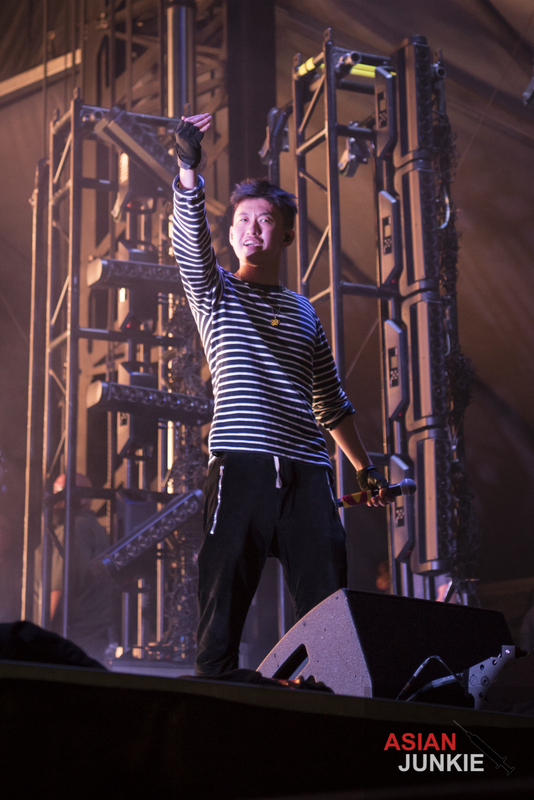 MIYAVI stepped out on stage, guitar in hand, and greeted the crowd with a smile and a nod. 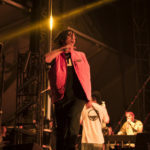 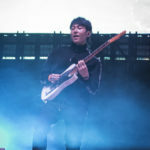 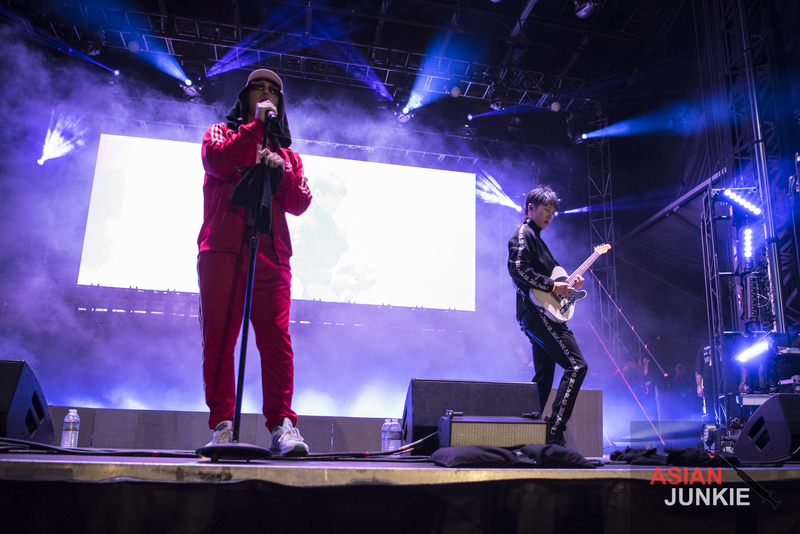 Joji talked about how he wanted to perform their new, not-yet-released track, “Wanted U” on stage here in LA. 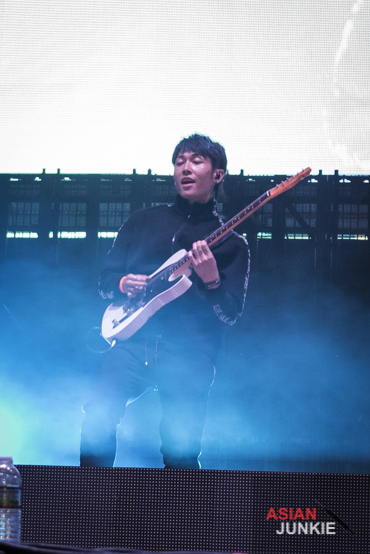 Joji sang while Miyavi played this beautiful, lonesome, deep song that gave me the chills. 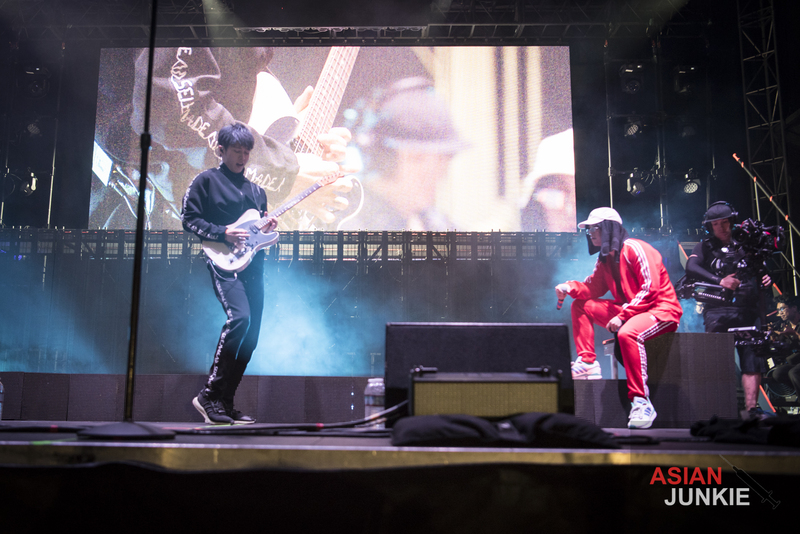 We all stood there, staring at this amazing unlikely duo. 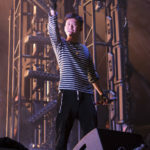 Miyavi thanked the crowd and Joji himself for inviting him, as Joji called him “a living legend” before moving on with the show. 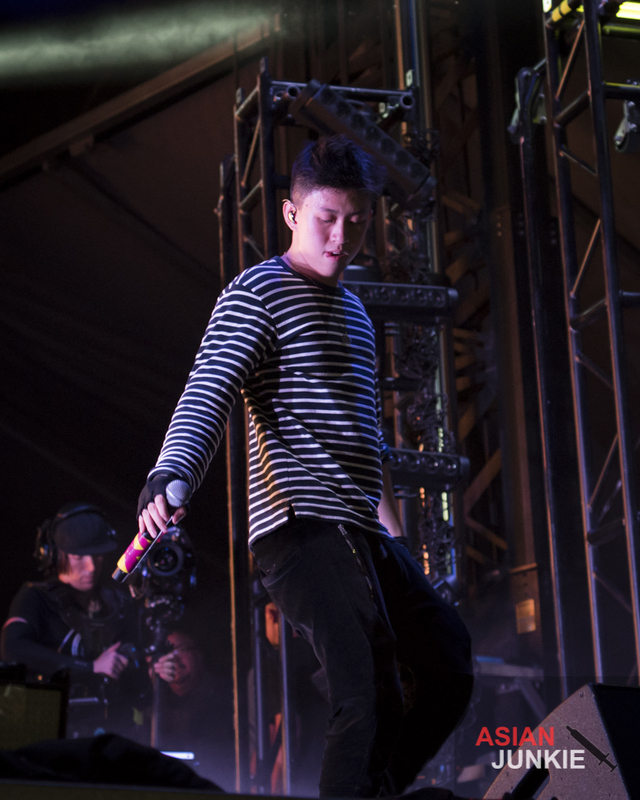 Finally, it was Rich Brian‘s turn. 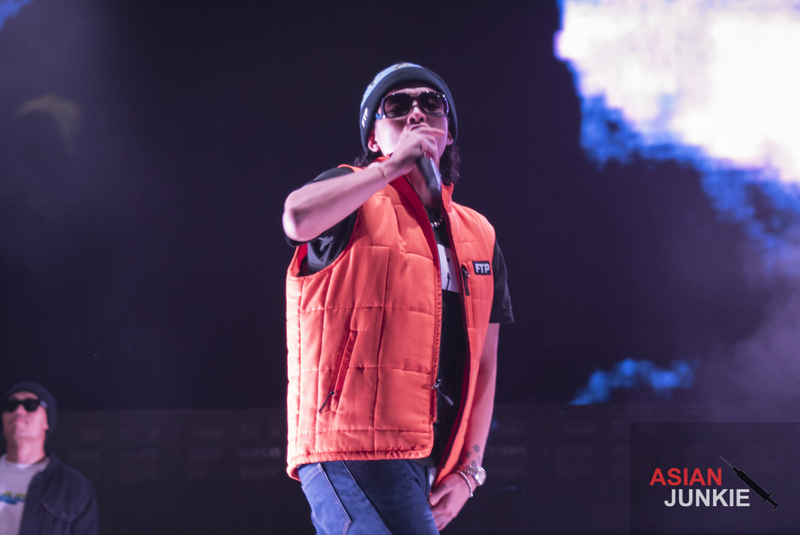 The kid is all grown up, straight from Indonesia, and has become one of the hottest rappers to hit the scene. 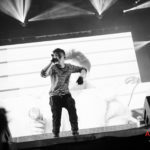 His viral humorous videos opened the doors to some of the best collabs, tracks, and live shows currently out today. 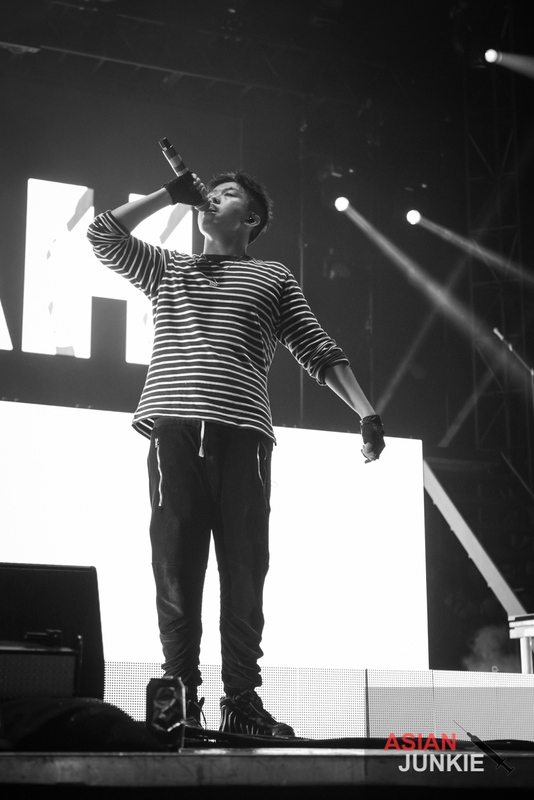 Most importantly, he’s not just a fad, he’s a damned good rapper and producer. 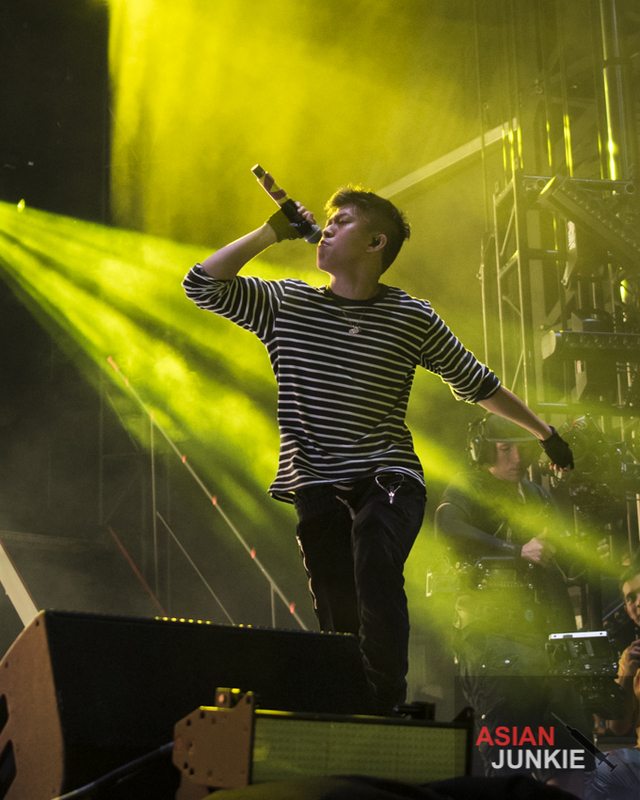 And he’s only 19 years old. 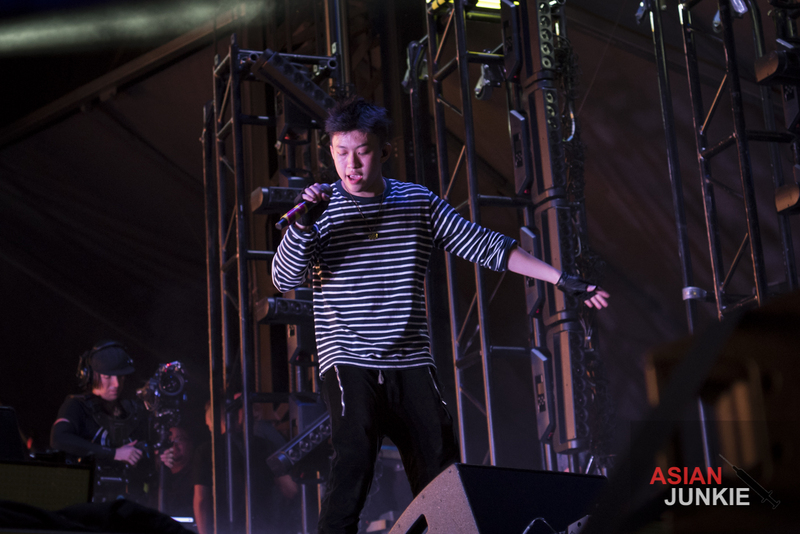 So of course he was our final artist of the night. 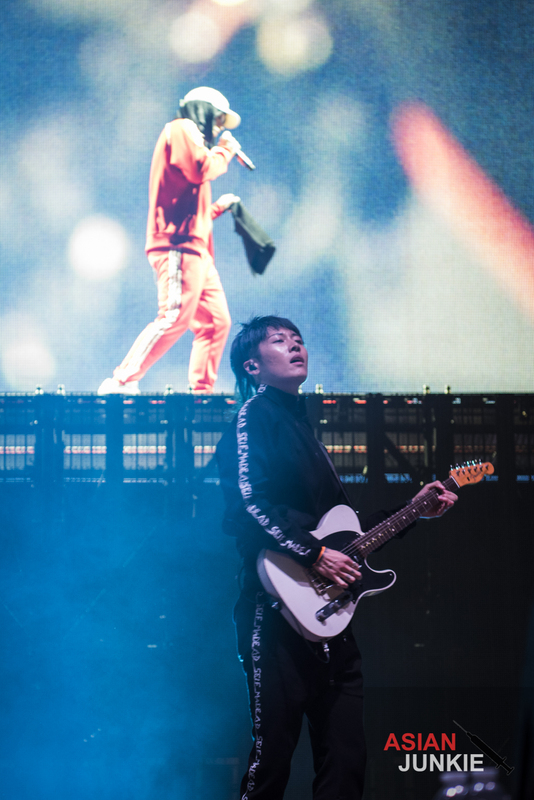 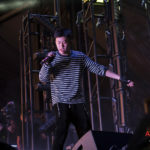 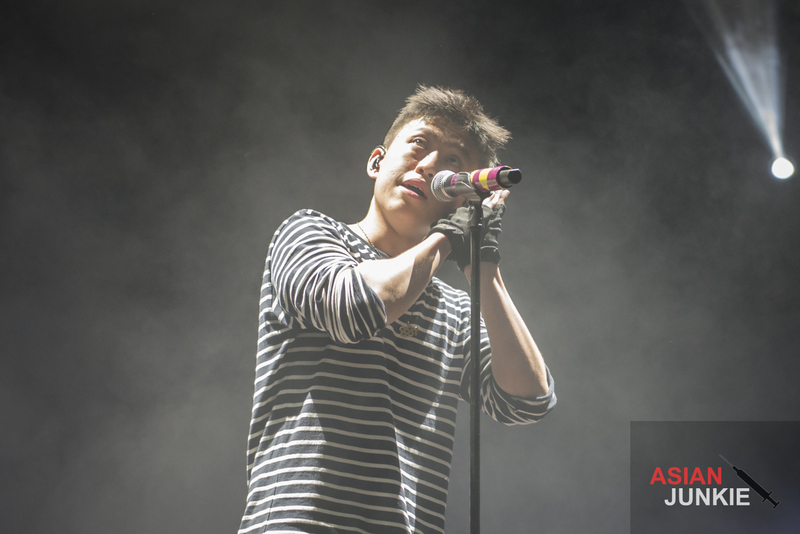 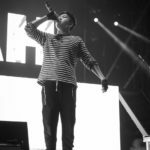 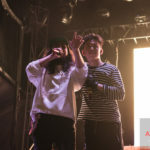 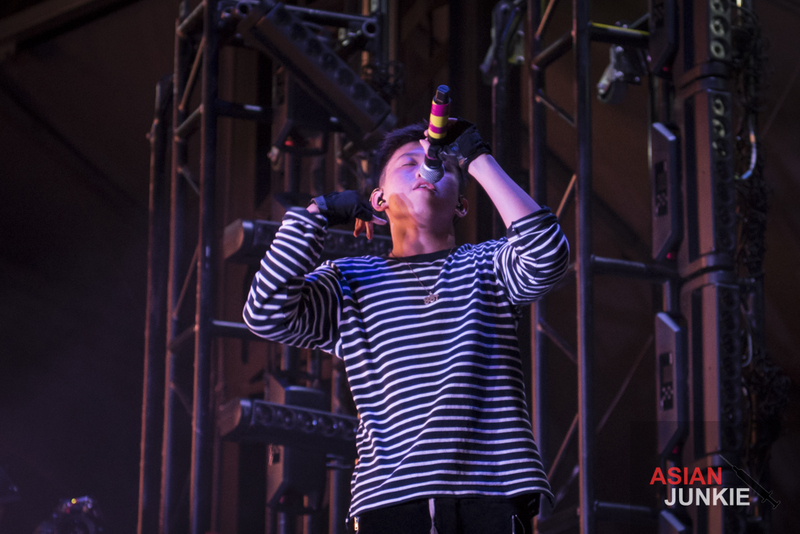 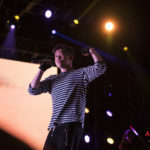 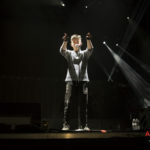 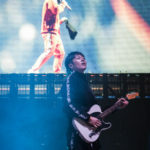 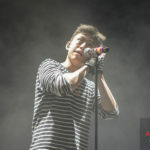 Rich Brian performed a collection of songs such as “Attention“, “Seventeen“, “Bankroll“, “Glow Like Dat“, “See Me“, “Amen“, and “Chaos“. 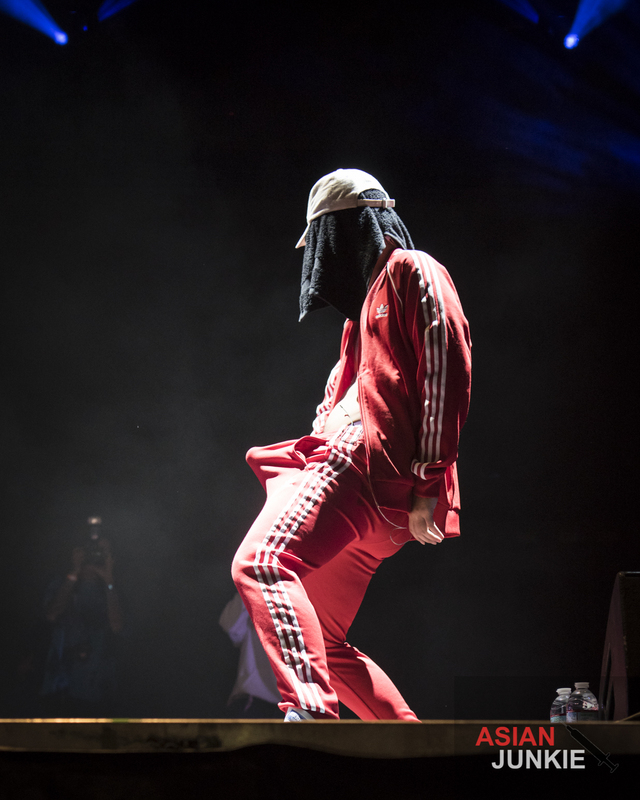 He surprised the fans by playing “Who That Be“, followed by the infamous “Dat Stick“, and talked to the fans about loving each other and crack cocaine (yes, a joke). 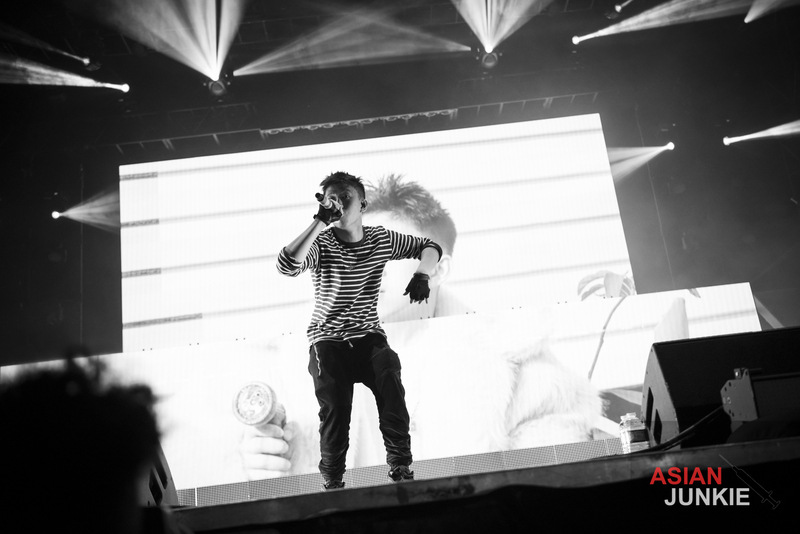 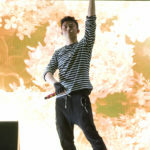 He paced up and down the stage, performing, talking to, and laughing with fans. 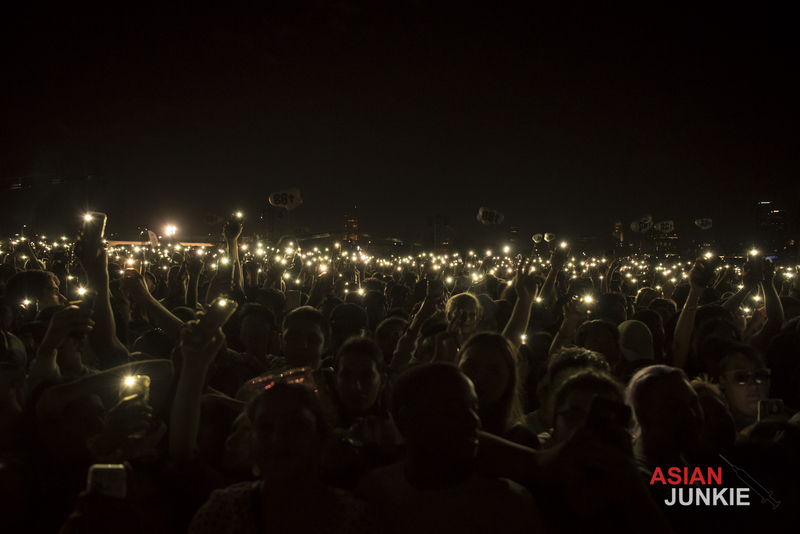 At one point, the entire audience turned their cell phone lights to him, lighting up the area like stars. 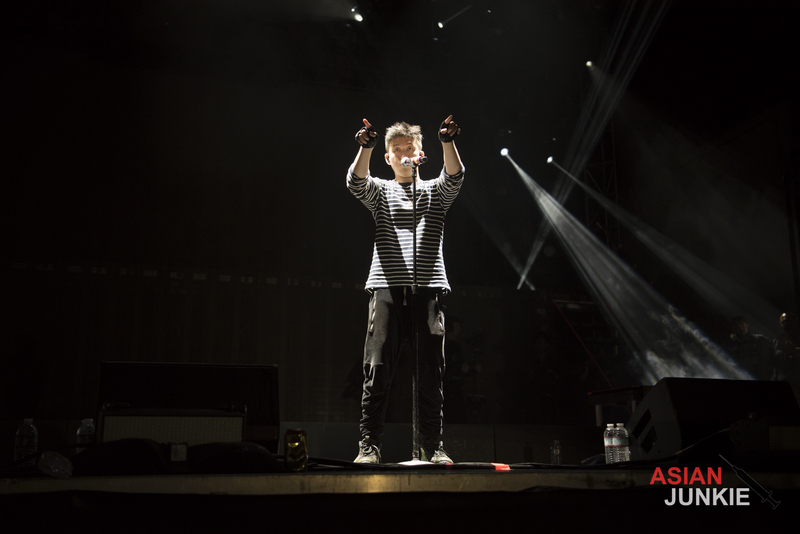 Finally, he said thank you to everybody and disappeared behind the stage. 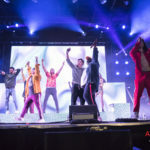 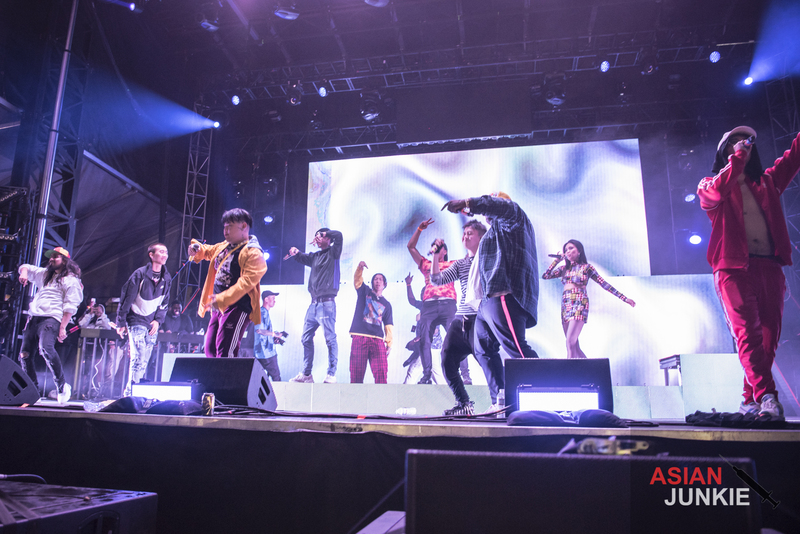 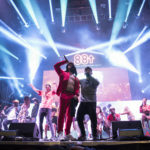 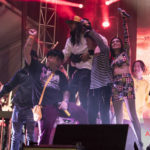 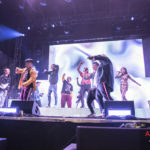 The grand finale was the entirety of 88Rising crew — everyone on the label, including the head honcho himself — coming on stage as they performed a medley of tracks from the label’s collaboration album ‘Head In The Clouds‘, as well as solos from each artist. 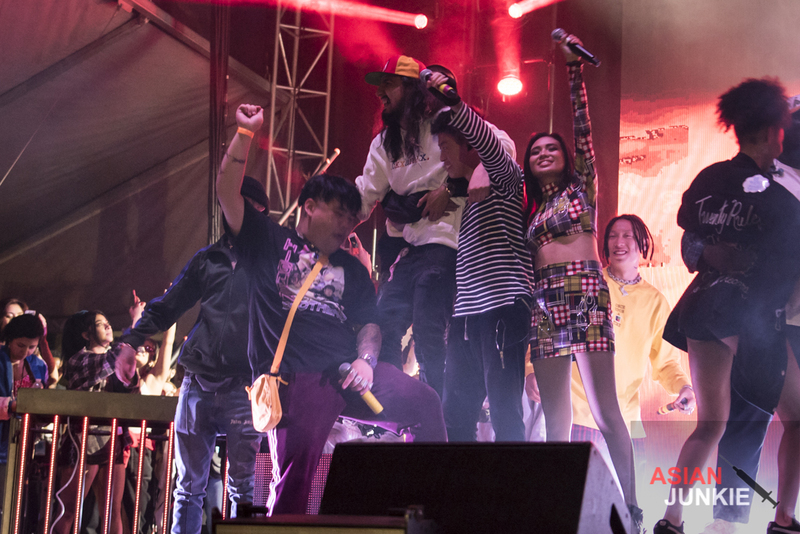 Everyone danced, sang, and partied on stage to songs like “Midsummer Madness“, “We Chat“, “Nomadic“, and “I Want In“. 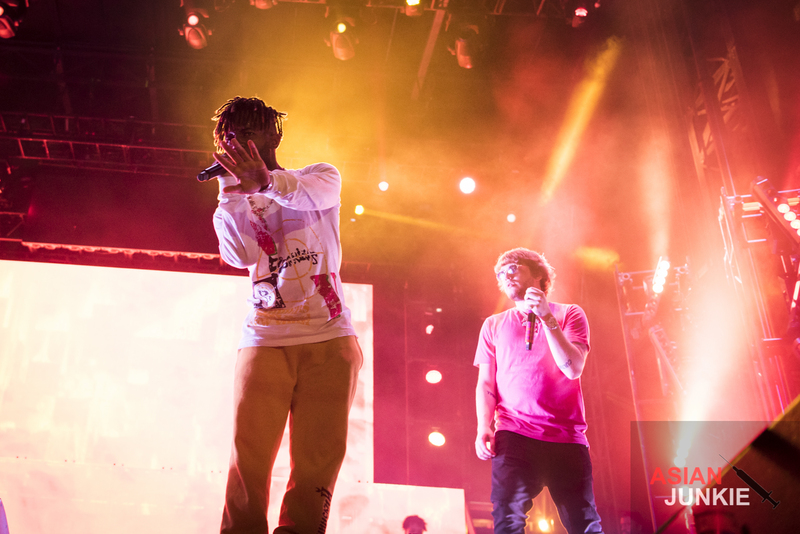 They also spun “SAD!” as a tribute to XXXTENTACION to a mixed reaction. 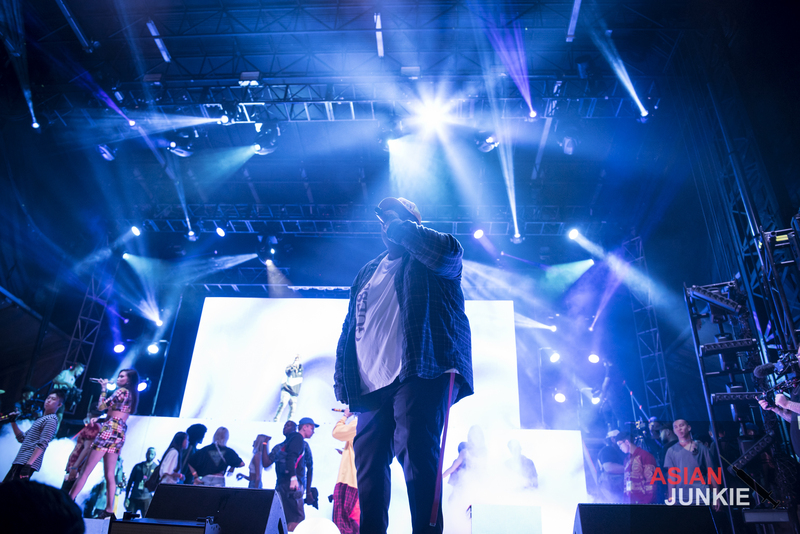 “Gospel“, “Disrespectin“, and of course “Slow Dancing In The Dark” closed out the night. 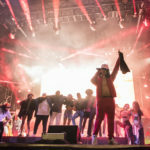 A barrage of white beach balls rained down on the audience, which were fired back at the stage by everyone who could get their hands on one, and it became a bit of a war. 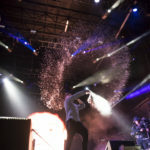 That’s not even to mention the giant swan and donut floaties making their way above the crowd’s heads as they got passed around. 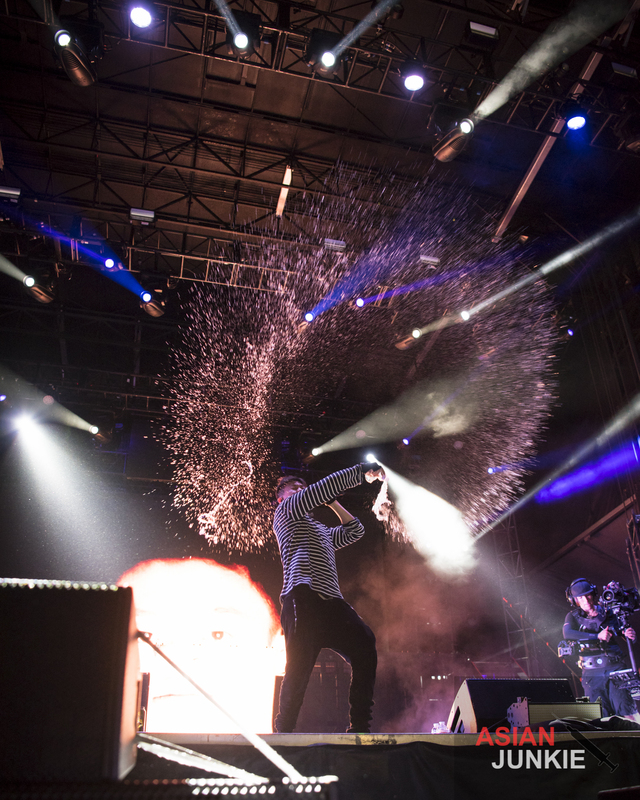 I huddled between the bass speakers with a fellow photographer as everyone got pelted with giant pool toys. 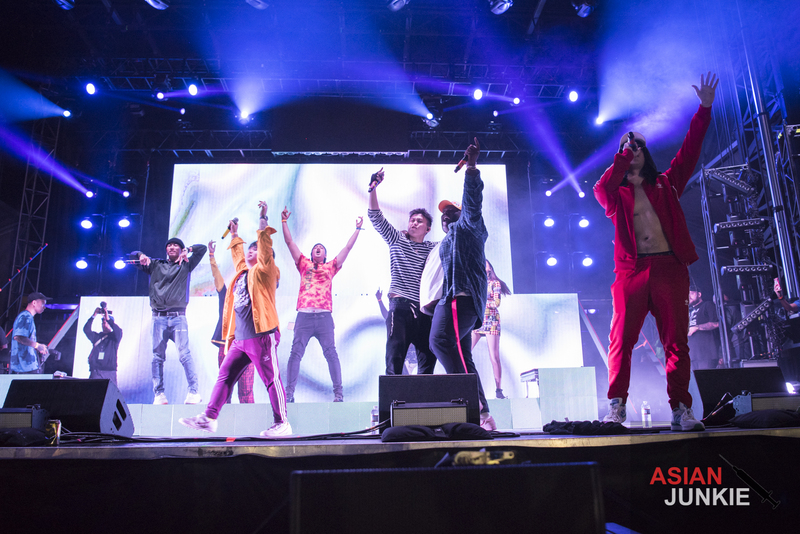 And with that, the show ended! 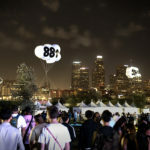 I don’t know what I expected from 88Rising’s first major festival but seeing a huge crowd lit by the stage, backdropped by Chinatown and the Downtown LA skyline was a sight definitely worth seeing. 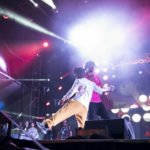 Not to mention the amazing stage performances by artists from around the world who came together for this amazing event. 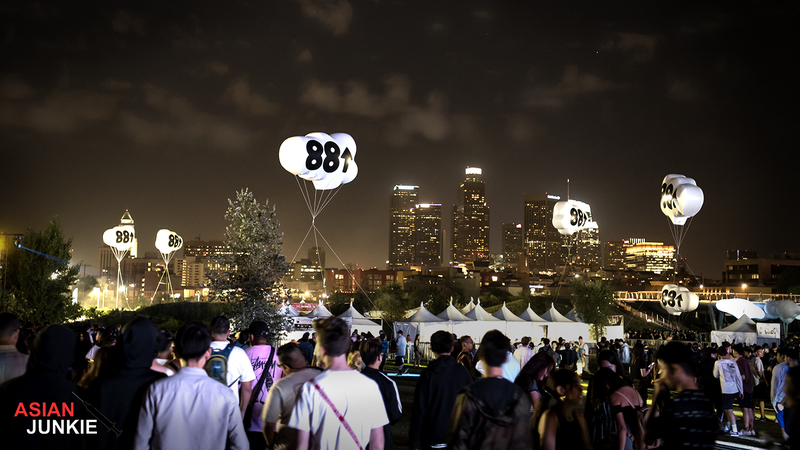 Well played, 88Rising. 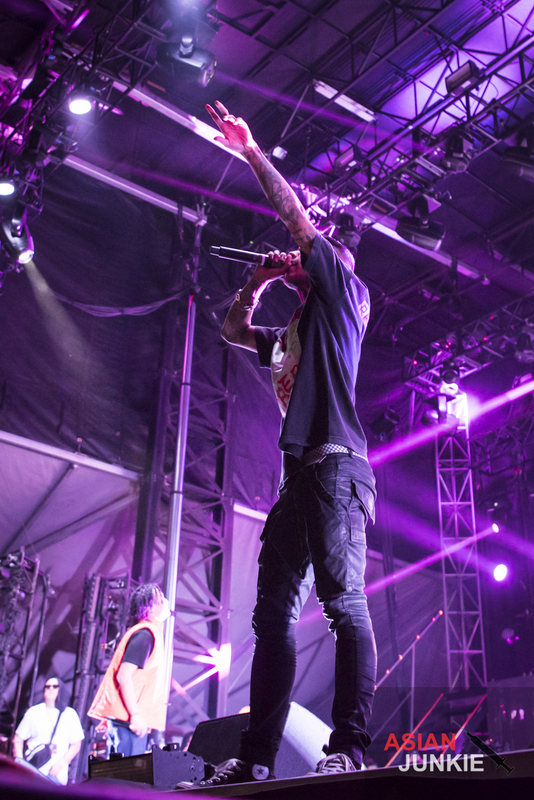 I can’t wait for you all to do it again! 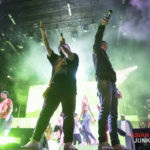 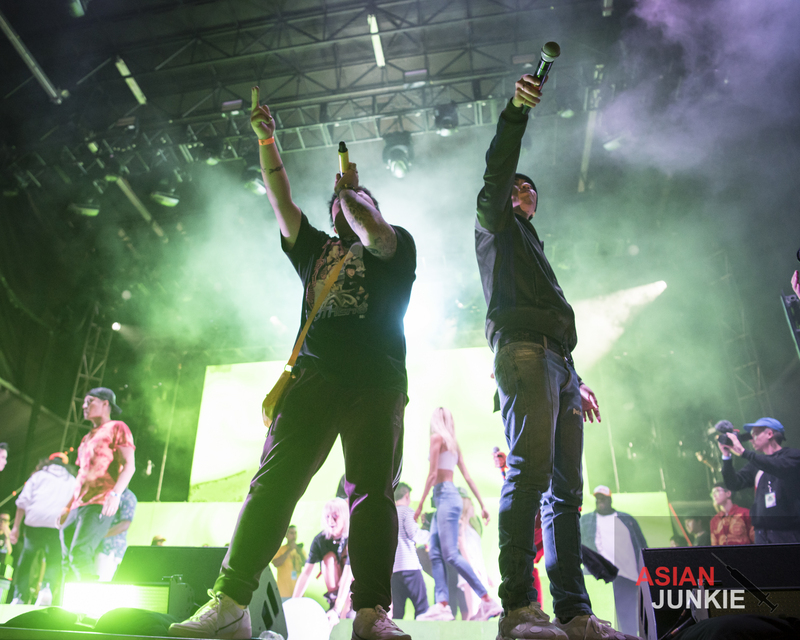 Once again, I cannot thank 88Rising enough for allowing Asian Junkie to be a part of the event.